audioBoo has launched Version 4.0 of its audio-recording app on iOS, but this is more than an ordinary update. 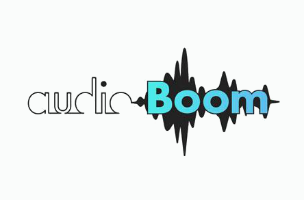 The app has been renamed and relaunched as “audioBoom,” complete with new features for users. The changes come after a period of recent success for audioBoom, as its service has seen a large increase in traffic in recent months. Specifically, the platform recorded 260 million page impressions in August, a month-over-month rise of 283 percent. After audioBoom users create an account, they can mark their favorite categories to follow. These can be large, sweeping categories like sports or culture, or specialized topics within those themes (where applicable). Sports fans, for instance, can follow events like cricket and horse racing, as well as larger topics like hockey or football. Culture fans can follow categories like the arts and philosophy, music fans can follow posts in the pop or urban genres, and so on. The app also allows users to search for specific channels and content manually. The audioBoom app has received a completely redesigned user interface. The app’s swipe-based navigation allows users to control their experience with a few gestures. Swiping right and left moves from one piece of content to the next, while swiping down downloads the post for offline listening and easy access at a later date. Swiping up follows that account for future reference, and so on. Users can post a “like” or a comment on each individual piece of audio they listen to, or share them out to Facebook, Twitter, email, text and other social media services. While listening to a piece of audio, users can rewind ten seconds at a time, or fast-forward by 30 seconds with a single tap. While recording their own content, users have access to updated record, trim and upload functions. Users can record up to 10 minutes of audio in a single recording, and can use tap and drag controls to trim recordings to a specific length. This includes pausing a recording, trimming out a portion that can be deleted, and then resuming the recording where one left off. Posts can then be given titles, descriptions, and hashtags, a photo, a category and location data, before finally being shared with others, or posted to Facebook, Twitter and so on. audioBoom is available to download for free on the iTunes App Store. An Android version is expected to launch in a few weeks.